Some Asian news outlets recounted a big soar in Iran-ASEAN (the Association of Southeast Asian Nations) trade in the year of 2017. An increase in the volume of trade between Iran and ASEAN shows that Iran-ASEAN had had a $2.63 billion volume of trade in the period of January till November 2017. Also the same report recounts that the volume of Iran’s export to ASEAN countries have witnessed an 80% growth in the same period. According to the same source, Iran exported $1.28 billion to while importing $1.34 billion of non-oil goods from ASEAN nations during the reviewed period. Thailand was the largest trade partner of Iran among ASEN member nations, with $619 million in two-way trade, accounting for 24 percent of the country’s trade with the bloc. Meanwhile, bilateral trade between Iran and its second largest ASEAN trade partner – Singapore, in the period, increased by 10 percent year-on-year, achieving $487 million. 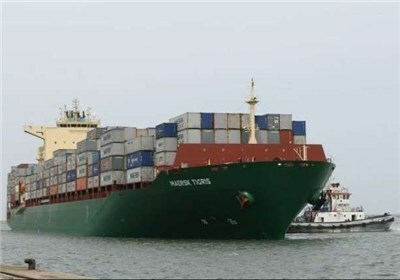 Iran-Malaysia trade grew by 69 percent to $486.5 million, while Iran's trade with Indonesia and Vietnam amounted to $485 million and $325 million, respectively. Iran’s major exports to the ASEAN nations were steel, butane, propane and figs. It imported sugar cane, palm oil, soybean, rice, home appliances and cell phones from the group.